Get your FREE 27-page e-book! Does it ever feel like your child’s memory is lacking when it comes to lesson time? This is a really important question. After all, you are devoting your entire day to your children’s education, and you want to make sure that you’re being as effective as possible. 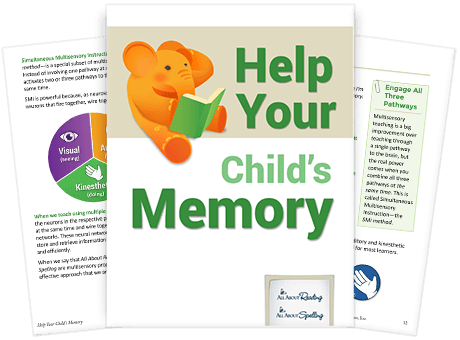 I’ve got good news—you can help your child with his memory! Download this free e-book to learn techniques and methods to help you strengthen your child’s memory and help him or her achieve learning that really sticks. As you read through this e-book, feel free to jot down any questions you may have. You can email us at support@allaboutlearningpress.com, or call us at 715-477-1976. No question is too big or too small—we’re here to help! 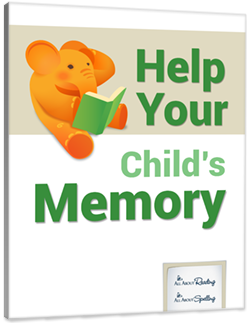 Then, apply the methods outlined in this e-book and watch your child's memory improve dramatically. You asked, we listened! Enjoy this printable 8.5" x 11" poster of our popular "Funnel Concept" memory tool. 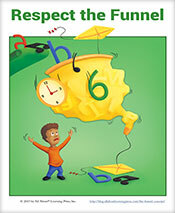 This poster serves as a reminder to not "overload" your child's memory with too many facts at one time.